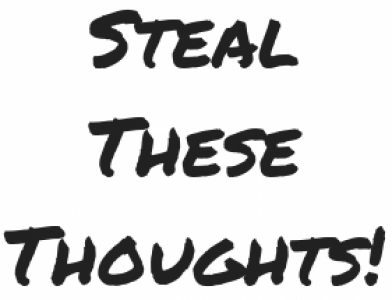 Learning – Page 2 – Steal These Thoughts! A common theme I find in my work of delivering large scale learning programmes and when I’ve delivered projects too, has been understanding the multiple elements to your role in the grand scheme of things. I’ve come to appreciate that a large part of my role is to facilitate collaboration, creativity and delivery of the work. What it is not to do and it’s actually something that I’ve seen too many people do, is to command and control everything. For a programme and project manager this is detrimental not only to the success of your project or programme, yet also to the engagement and respect you get from the people around you. I like to apply this same principle in other areas of life too. I look to facilitate and be adept to change, not trying to control everything and command everyone to what I want/need. I don’t believe you’ll find much success in work or life if you take an approach of control and command. Of course in some cases when the chips are down and people need leadership, you may need to take control of something to bring it back on course. What is not necessary, is to look to command and control every little thing. This week I explore how to get the data you want from your audience, how will you prepare for the new talent of the future and why you should identify the metrics that matter for true performance.